Applied for air ventilation and conditioning systems of all types (heating/ventilation, air conditioning, climate control system etc.) Prevents risk of allergy development and other respiratory tract diseases. Cleans and disinfects the system. Deodorizes air. Eliminates fungi and bacteria, removes musty odor. Deodorizes air. 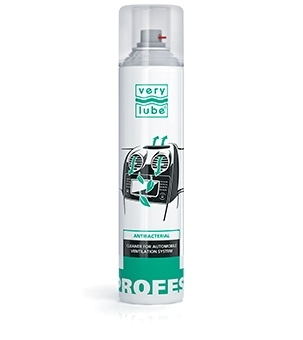 Spray the product during 3-4 seconds into air conditioning (ventilation) system of an automobile. Wait 2-3 minutes, start the engine and let it idle for 2-3 minutes with air conditioner turned on. The product is to be sprayed while engine is turned off. It is recommended to apply not less than once per month.